The world of fitness is chalked full of inspirational stories and our ever growing profiles section is no exception. 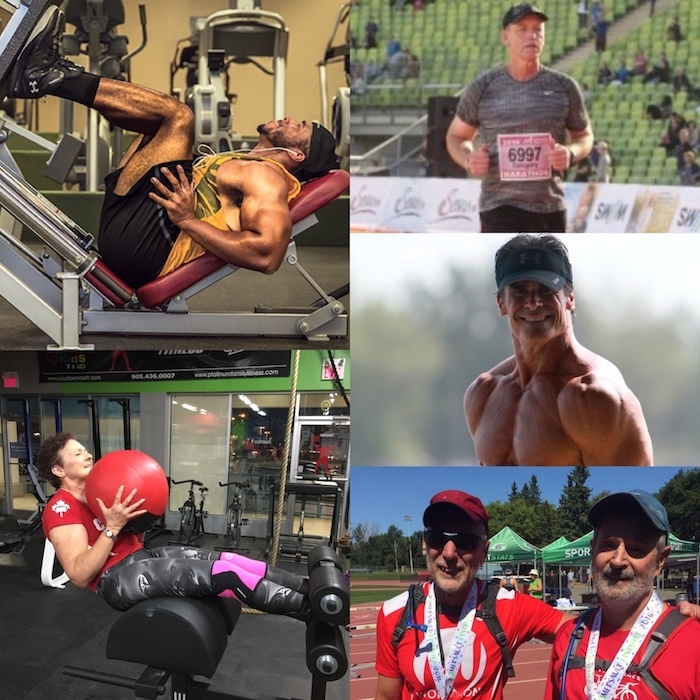 From cancer survivors to adult on set exercisers, to incredible life changes; these five people have faced incredible odds and persevered to achieve their fitness goals. Johnny Olsen is a former junior Olympian who has been a competitive bodybuilder since the late 1970s. His most recent victory was in July 2016 at the Master’s Division. In January 2014, Johnny was diagnosed with cancer but still trained right up until two days before his surgery. He only took six weeks after his surgery before resuming his training; not at the same intensity, but still at a high level. If you were to run into Vinson Smith today, you would be meeting a High School Football Coach, who clearly practices what he preaches in terms of fitness for his team. With 225 pounds on his 6’1” frame, it is almost unfathomable to imagine the laid back and outgoing southerner once tipped the scales at over 500 pounds. Vinson’s an inspiration because he went after what he wanted the most and he got it. Call it the American dream, call it a can do attitude, but for him, it was really just that he didn’t want to be big anymore…and he isn’t. Valerie didn’t get into fitness at a young age, which is what makes her fitness journey so inspirational. It wasn’t until she was in her mid-fifties that she decided to start living a more fit life. After attempting to get into better shape by joining a women’s only gym, that turned out to be too little actual fitness. She then tried Zumba, which led to an injury. Finally, at the age of 64, she found Crossfit. She dove into it head first and found a form of fitness that she fell in love with. She has progressed and gotten herself into incredible shape at the age of 68. From Valerie’s own personal journey, you can learn that you should never be afraid to attempt a new form of fitness and do not give up trying because there are a few set backs. Finding what works for you may require a lot of trial and error, but you will find something that will motivate you to create a healthier you every day. Valerie also teaches us that you are never too old to succeed in your fitness goals! Peter is an avid runner and a triathlete who has been pursuing fitness since he was in his mid-twenties. Peter has done a lot in the world of fitness, from racing dragon boats to practicing yoga. So what makes his story that much more inspirational? Peter lost his sight as a teenager. He’s able to compete in triathlons with the help of the Tandem Project, a group that pairs people with a guide to help them in their physical endeavors. In training, Peter utilizes whatever he has at his disposal to make it easier to accomplish his goals. In a rural setting, he will use GPS on his phone and a stick that allows him to navigate where the side of the road is. When swimming, he will jump in a lake and keep the music playing on the shore so that he knows where he is and how to get back to the dock. Peter’s constant physical engagement leads anyone who meets him to question their own commitment to fitness and make their excuses seem, well, pretty lame! Peter’s #1 fitness tip is all about balance. Balancing workouts with nutrition in order to help with overall fitness as well as injury prevention, which is very important at the moment. Greg is the living embodiment of inspiration, having overcome a litany of personal setbacks and continuing not only to push himself forward but to dedicate his life to helping others overcome their setbacks and move forward with their lives. One way or another, we can all apply that to our daily lives and daily workouts. There are five people who fought against all odds and a terrible hardship to achieve things that a lot of people believe they cannot. Let’s not just acknowlege that their stories are inspirational, let’s actually be inspired by them and go out and achieve our own goals!